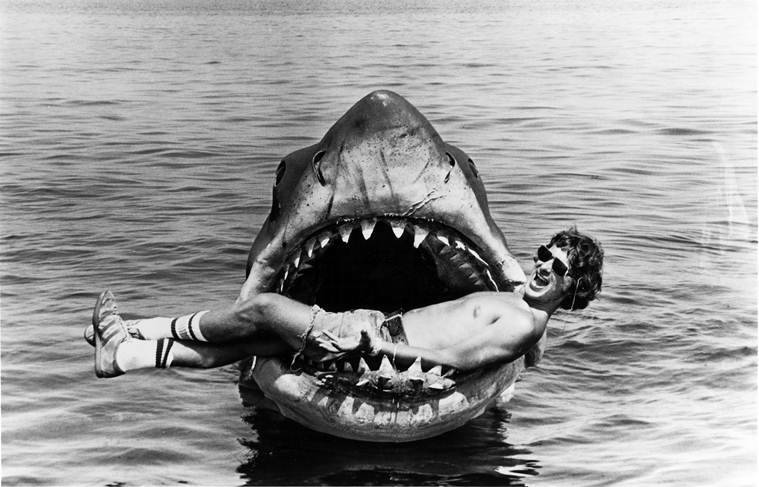 On Steven Spielberg’s 71st birthday, here’s looking back at his cinematic genius behind Jaws. Released in 1975, Jaws remains one of the most nail-biting thrillers that still manages to scare a first-time viewer. Imagine that for a film where we did not even see the villain for most part, yet were scared by its presence. I belong to the generation that saw Jaws on satellite television. I had heard stories of the horror the film leaves you with but did not realise that the sense of fear is greater than fear itself until I saw the film. And all of the credit for this goes to director Steven Spielberg. Before Steven was given the task of directing Jaws, he had only made a few films and none of them had been blockbuster hits. With Jaws, he got the golden opportunity of converting a book to film that was nearly impossible to shoot. The film’s story revolves around Amity Island and the terror of a man-eating shark that wanders the beaches. The threat is real for the locals but for the audience it’s the fear that sets once you are done with the film. Jaws still has the power to make one scared of stepping into the ocean for a recreational swim. To give a face to this villain, Spielberg collaborated with Bob Mattey, a veteran special effects expert, who created a robot shark worth $250,000 but unfortunately, it was more like a joke. But this was the roadblock that pushed Spielberg to think out of the box. The opening sequence alone is enough to scare the audience in spite of the fact that the face of the villain is not even shown. Spielberg changed some sequences and narrated the film in a way where the audience doesn’t see the shark until the third act. His plans for animatronix couldn’t get materialised for Jaws the way he wanted to but years later, Spielberg conquered it by making Jurassic Park but that is a tale for another time. Steven Spielberg during the filming of Jaws. Horror films usually rely on excellent background score to create tension. Looking at the ghost isn’t as scary as anticipating it and this was the same formula that Spielberg applied to his film. John Williams composed the now iconic theme of the movie that still makes one recall the film. Strangely, Spielberg did not like it at first go but it grew on him eventually. 42 years after the film’s release, we can safely say that the theme music had a huge role in the terror of the shark. Back in the 70s, Hollywood wasn’t a huge fan of shooting on the ocean. More often than not, scenes would be shot in studios and later background activity would be added to make it look real. But Spielberg wasn’t someone who would compromise on his artistic vision. He shot the film at Martha’s Vineyard, Massachusetts, and managed to insert shots that were taken from the shark’s point of view. A glass water box was created just so the camera could be immersed in water so Spielberg would get the desired shots. Jaws was an expensive film and since Spielberg wasn’t the kind who would compromise, the schedule for the film got extended by over 100 days and that led to the push of the release. The film that was going to release during Christmas season of 1974 was now scheduled for the summer of 1975. Summer blockbusters are lucrative for Hollywood studios now but back then, this was the season when studios released films that they didn’t expect much out of. Jaws changed that game and was a trendsetter. It was after Jaws’ humongous success that Hollywood realised the potential of a summer blockbuster. Until the release of Star Wars in 1977, this was the highest grossing film of all time and the first film to ever cross the $100 million mark. Jaws is one of those rare films where the monster is the villain but the threat of the monster is bigger than its existence. The film had three sequels that were quite disappointing but thankfully Spielberg’s legacy remains intact with the original.